The right boat in the right location! Reva Reva is a four cabin model of the highly respected Fountaine Pajot Bahia 46 launched in 2006. The Bahia 46 is still considered Fountaine Pajot's masterpiece crafted by her designers Joubert Nivelt and Olivier Flahault. She features excellent performance under sail, a spacious cockpit area and a clean, easy to move around deck. Built for blue-water cruising, the Bahia 46 remains extremely easy to single-hand with hundreds of couples cruising the world aboard the same model. Inside, a breakfast bar separates the comfortable saloon and chart table, offering great visibility for those longer or overnight passages. Reva Reva's four cabins are well-appointed, spacious and each offers its own private bathroom. This is the best value for money Bahia 46 on the market, allowing you to take advantage of great local service and the dream location to commence your cruising life. 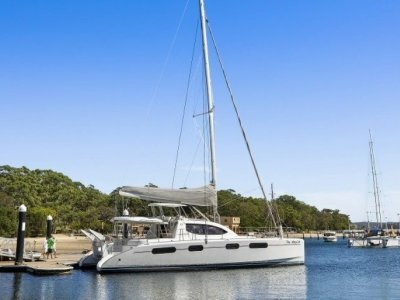 Reva Reva has an in-depth maintenance record by a dedicated technical team, and all items on board have been looked after by the company including the engines servicing, sails and canvas which have now been winterized. 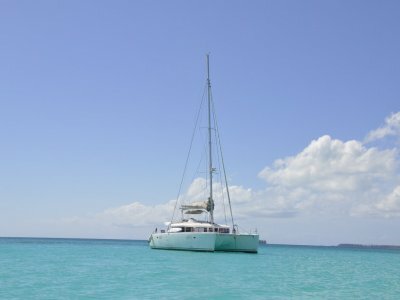 Multihull Solutions has built a partnership with a major charter company based in Tahiti, enabling us to offer good quality production model catamarans for sale under attractive conditions. Multihull Solutions performs a comprehensive inspection on the boats in Tahiti before presenting them to the market. Furthermore, being the official agent for Fountaine Pajot in the Asia Pacific, we can offer assistance worldwide. 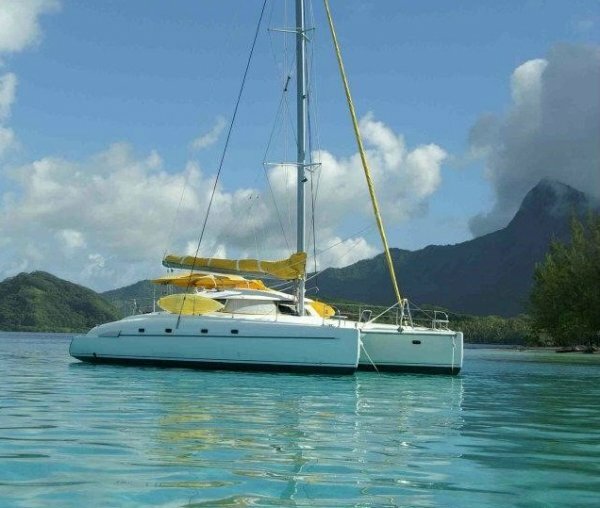 It would be ideal if you considered taking delivery of this model in French Polynesia, where you will be assisted by the professional team on site, helping you with any questions, even providing skipper or crew whenever required. This is the dream location for any cruising boat and she is already there! 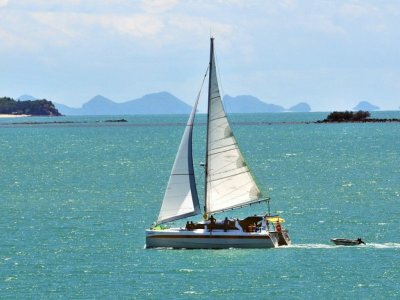 Hundreds of sheltered islands, pristine waters, astonishing sea life and unequalled welcoming traditions by the locals. Some boats never leave the region... Yet from there on it is pretty much downwind all the way to Australia or New Zealand with more incredible destinations on the way: Tonga, Fiji, Vanuatu... Now is the good time with the cyclone season over. Please see the attached PDF for the full inventory.